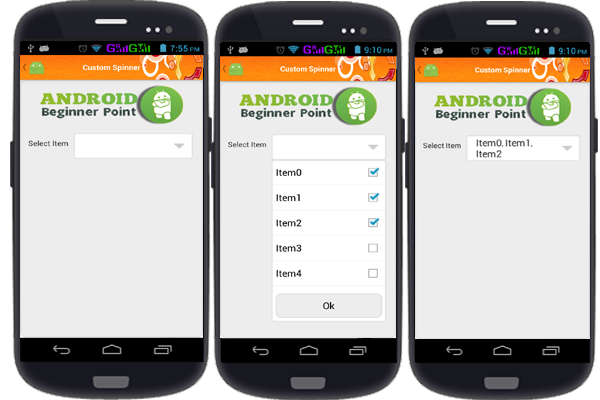 In this tutorial Implement multiple Choice Custom Spinner in android. explain Briefly..
Step1 create gradient xml inside res/drawable folder.. Step 2 Create activity_main xml inside res/layout folder.. Step 3 Create MainActivity inside srcfolder.